At ENERSEA, we believe in proving our ability to consistently provide products and services that meet the needs of both our clients and stakeholders and the statutory and regulatory requirements related to the products. Hence why we are certified with ISO 9001:2008, the world’s most widely recognized Quality Management System (QMS). The Company is also in the process of migrating to the revised standard ISO 9001:2015 Quality management systems, of which the requirements was published on 15 September 2015. The international accreditation forum (IAF) and the ISO committee on conformity assessment have agreed to a three (3) years transition period from the publication date of ISO 9001:2015 which cancels and replaces ISO 9001:2008. In enhancing our environmental performance, we at ENERSEA believe in managing our environmental responsibilities in a systematic manner that contributes to the environmental pillar of sustainability. ISO 14001:2015 Environment Management System (EMS) standard is an internationally recognised environmental management standard of which the revised requirements with guidance for use was published on 15 September 2015 and was first published in 1996. This standard cancels and replaces ISO 14001:2004, of which the international accreditation forum (IAF) and the ISO committee on conformity assessment have agreed to a three (3) years transition period. It is a systematic framework to manage the immediate and long term environmental impacts of an organisation’s products, services and processes. 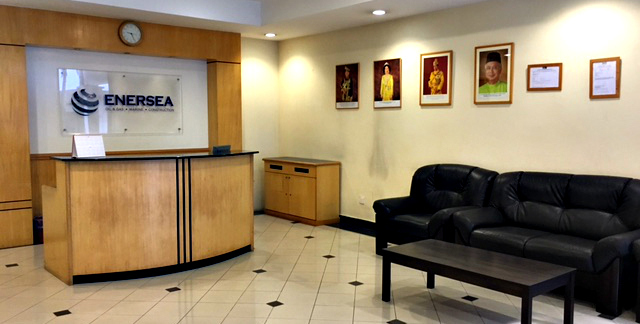 At ENERSEA, the safety of our personnel is top priority at all times. Therefore, we believe in taking all the necessary steps needed to control any form of occupational health and safety risks under our responsibility. OHSAS 18001:2007, Occupational Health and Safety Management System requirements (officially BS OHSAS 18001) is an internationally applied and widely recognised British Standard for occupational health and safety management systems. It exists to help all kinds of organizations put in place demonstrably sound occupational health and safety performance.